Many a pop album throughout history – both from years recent and decades long receded into the past – have tugged at the back and forth of relationship opposites. Everything, from the starts and ends, to the other worldly highs and incomprehensible lows, has been fair game for melodic musing. That said, when the subject of your songwriter’s quill is the same as countless others across time, what makes every new love laden exploration stand out, often comes down to the shape, and emotional temperature of the message’s delivery. 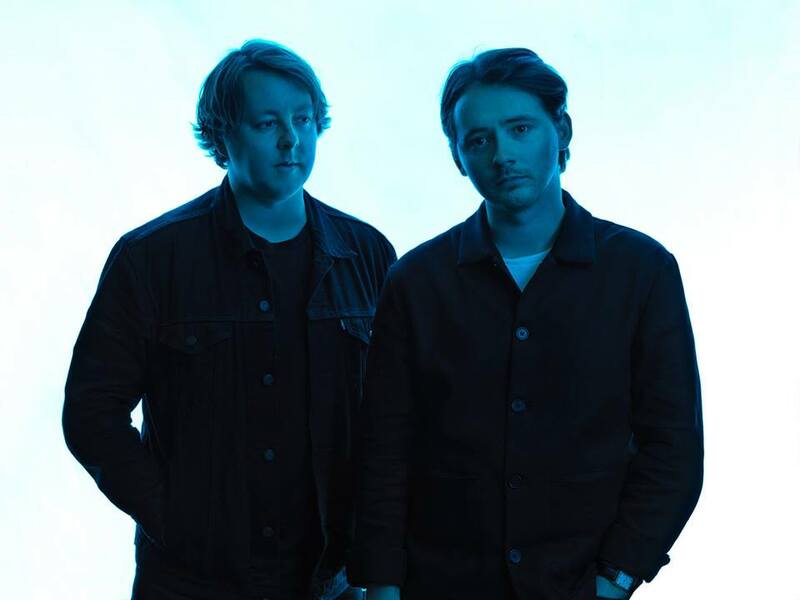 London two piece, Tender, sounds like it broadcasts its primary mode of sensitivity from the outset of the duo’s band name but, flatmates-turned band mates, Dan Cobb and James Cullen, present as anything but emotionally one-sided on their debut full length album, Modern Addiction (Partisan Records, 2017). The melodically smooth and slow burning approach to affairs of the heart is not new. Just ask The Weeknd, a.k.a. Abel Makkonen Tesfaye. Cobb and Cullen have decided to plot out a record route that takes similar modes of transportation with its synthesizer prominent and vocally subdued but emotionally weighty song style – one that, also similar to the Weeknd’s globally praised album Starboy (XO/Republic Records, 2016), is intermittently morose and widely dance-ready in its overall format. All the same, despite Modern Addiction’s analogous sonic applications, and even its metaphorically relatable linking with dependence and sobriety, Cobb and Cullen’s slice of R&B stained pop resides in a decidedly less manic place than The Weeknd’s often high-propelled proclamations. Modern Addiction doesn’t look to flaunt the idea of cravings and habituation with the same shiny appeal; choosing instead to present the inverse through quieter pulsing and wavy laser synth tone manipulation, thus creating a sense of occasional instability, such as is common when working toward a state of full clean recovery from dysfunctional circumstances; especially when one becomes aware of their status but the struggle to turn the page nevertheless remains. The very beginnings of Modern Addiction, both the slew of descriptors in the album’s introductory promo materials ([Modern Addiction] is young, cold, urban, lonely, and an intrinsically modern look at the irrepressible desire to maintain a love, be it destined or doomed”) and the sustained, slightly buzzy, warped synthesizer notes that launch “Illuminate,” give way to a sense of darker electronica befitting of the London scene populated by artists like Kode9, Ikonika, and Jessy Lanza (all not so coincidentally from stylistically-minded label, Hyperdub). Rare is the instance when the non-pragmatic summations of a record not only stir up a desire to listen but so absolutely encapsulate the physical setting ushered in by the music’s culminating blend. 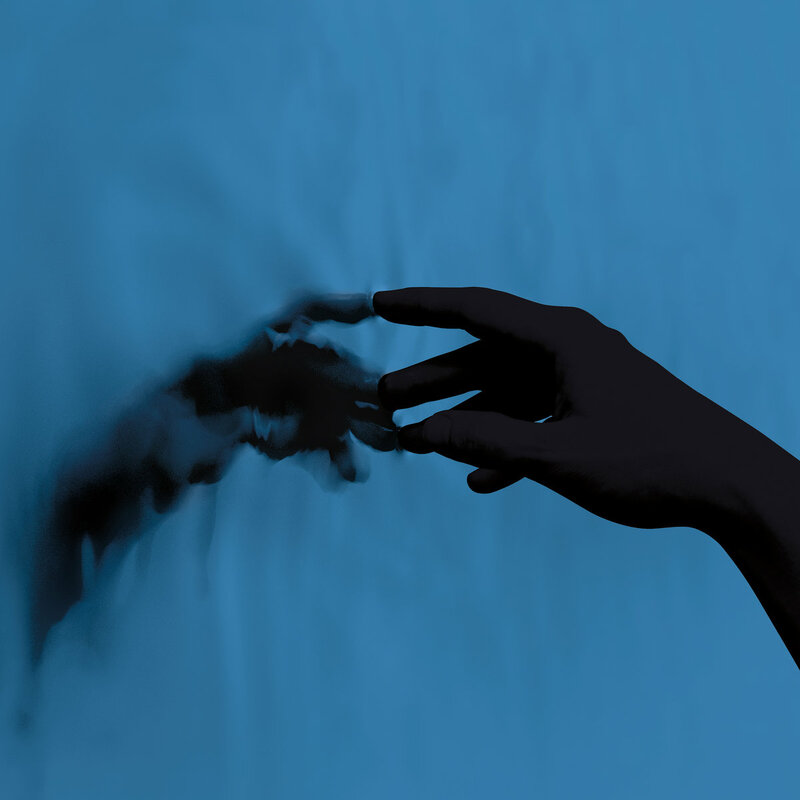 By the time Tender’s non-sampled vocals start up (a mere 24 seconds in), the emotionally stricken but gently articulate style applied by the duo serves as a mere confirmation of the melancholy fragility generated by the album’s elements to that point. Still, it’s not as though Modern Addiction is without a tonally strong grip or dynamically intense presence. Just because the record’s general underlying quality is one of dark deliberation doesn’t mean the music drags or is the same shape 12 times over. The album does a good job of oscillating between songs left with space to breathe in the arrangement (“Erode,” “Silence,” “Sickness,”) and those doused in an array of instrumental textures (not to mention uniquely eastern characteristic delivered at that aforementioned dance-ready pace (“Nadir,” “Machine,” “Powder”). Rhythms don’t serve as factors of complex foundation such as they do in veins of progressive music yet, even with simpler to follow patterns, just the mindfulness of carefully placed diction and syllable sounds (It’s like this and like that / I think I’m starting to crack / Then you’ll leave and come back / The odds are starting to stack) gives beat punctuation a degree of importance in a less-is-more kind of way. The entirely single-word track list reads like a table of contents – minimalistic chapter titles that command more than enough power to instill a lasting impression before the songs even start. First play throughs can feel dense and possibly overwhelm. Listeners can find auditory refuge through replays focusing on Cullen’s self-introspection and the instrumental palate cleansers of woodblocks, string plucks, and even chirping birds (“Vow”); all of which play a big part in keeping Modern Addiction from succumbing to the doldrums of post-relationship pain. Indeed this debut from Tender strikes a ubiquitous tender nerve in the scope of human experience. However, along the way, the English duo traverse the totality of Cullen’s lost love with a willingness to expose, highlight, and embody all aspects thereof, by way of a soundscape that prompts far more contemplative disassembly than the its pop-oriented interior might otherwise suggest. Modern Addiction is available now direct from Partisan Records, as well as iTunes, Google Play, Amazon, and Bandcamp. 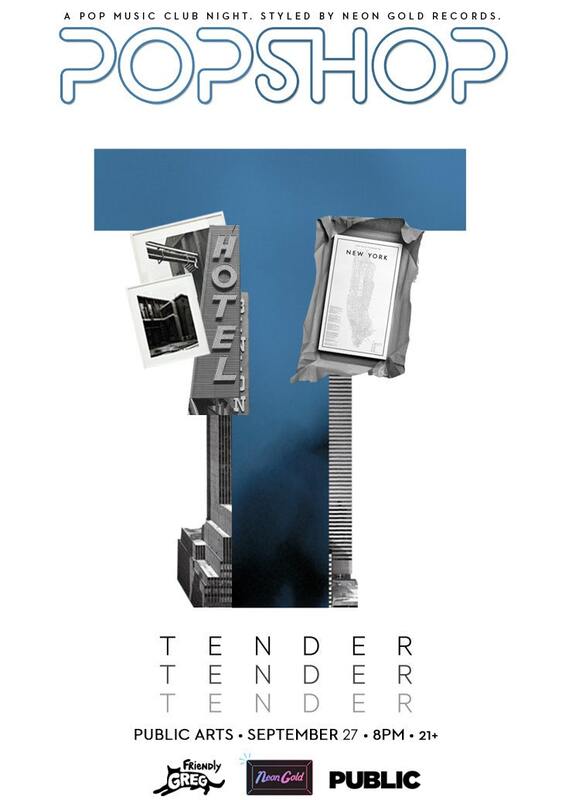 Tender are touring the U.S. and will be performing in New York City on 27 September. Full show information and ticket link is below.